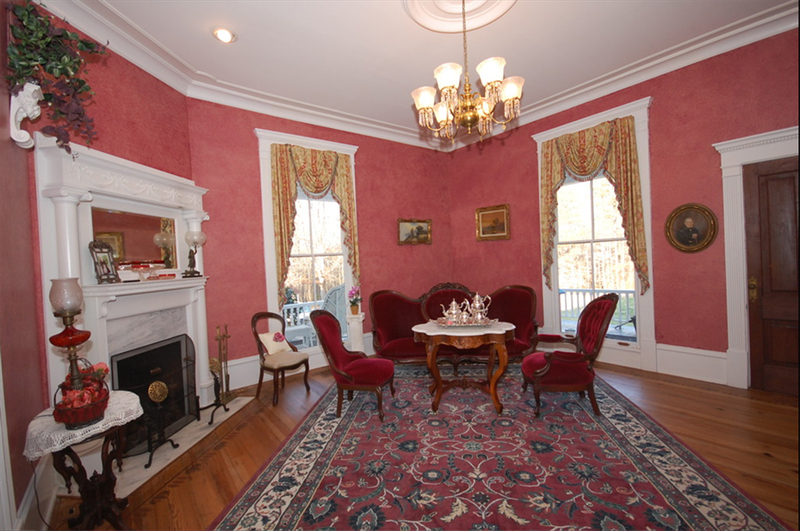 Retire to the Ladies Parlor for coffee, tea and socializing. This room is especially perfect for wedding showers, bridal luncheons and baby showers. 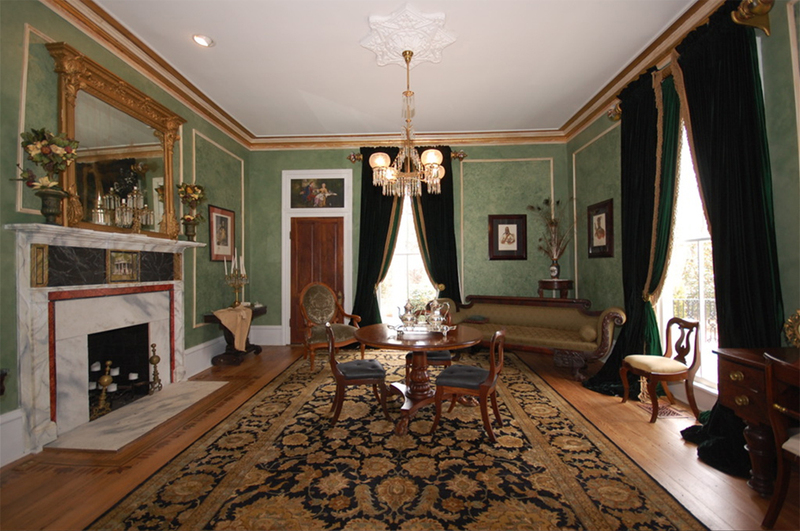 Massive, hand-crafted green velvet draperies hang in the Lafayette Parlor, creating an atmosphere reminiscent of "Gone With the Wind." This signature room is historically rich, featuring hand-painted finials and a federal mantel, perfect for fire-side conversations. The masculine overtones of the Lafayette Parlor are a perfect complement to the femininity of the neighboring Ladies Parlor. Gather with family and friends around a 15 foot antique banquet table. 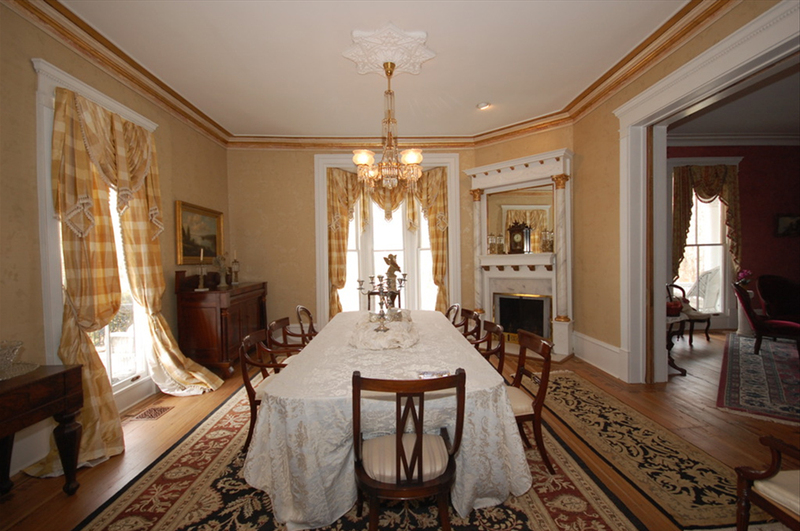 Upon entering Fair Havens you immediately see the charm of this southern antebellum mansion. 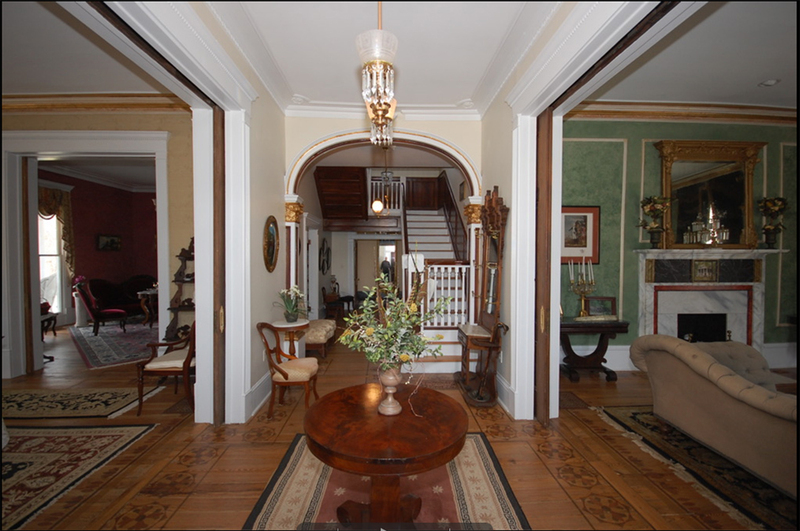 The foyer features an antique chandelier that is warm and inviting. Huge pocket doors open up to the rest of the first floor making the space feel expansive. The wooden stairs grab your attention and lead your eyes upward toward the second floor. The detailed wooden floors show the craftsmanship of an era that specialized in quality over quantity.